Because God is with you, He does not want you to fear. Because God is with you, He does not want you to be dismayed. Because God is with you, He will strengthen you. Because God is with you, He will help you. Because God is with you, He will uphold you with His righteous right hand. Whatever your fears may be today or whoever your enemies are, you have a Friend that sticks closer to you than a brother. 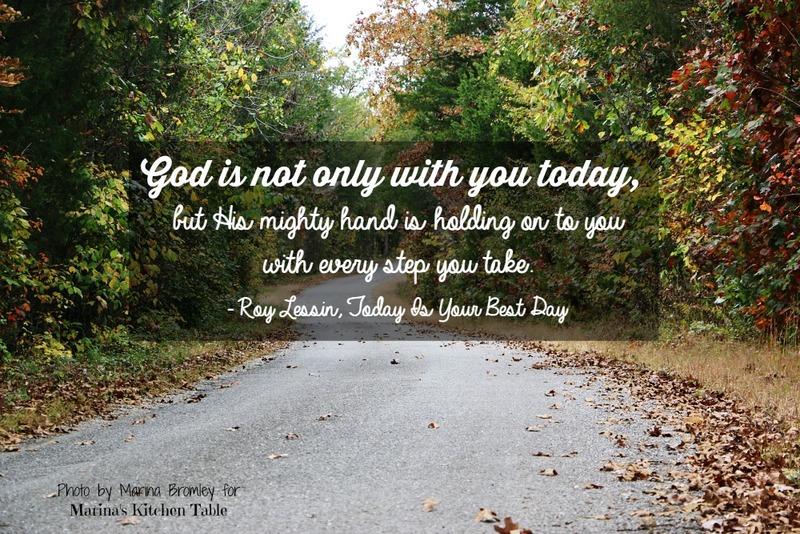 Today is your best day because you do not walk through it alone, abandoned, or forsaken. God is with you and He can handle any situation you face, any foe you encounter, any problem you meet, or any conflict you confront. One plus God is definitely a majority! All of us can experience fear for many reasons. Fear can come when we face a difficult situation, when we step out into something unknown, when we sense our weakness, or when we take our eyes off the Lord, just as Peter did when he began to walk on water. The Bible does not tell us that something is wrong with us if we are fearful, but it does tell us that God doesn't want us to live in fear. Fear can paralyze us and keep us from moving forward in His will and plan for our lives. God's presence with you is the reason not to fear. God told Abraham not to fear because He was his shield. God appeared to Isaac and told him not to fear because He would bless him for his father's sake. God told Joshua not to fear because He had given him the land, and that He would be with him as He was with Moses. David said that when he was afraid he learned to trust in the Lord. One day Moses said to the Lord, "You have been telling me, 'Take these people up to the Promised Land.' But you haven't told me whom you will send with me. You have told me, 'I know you by name, and I look favorably on you.' If it is true that you look favorably on me, let me know your ways so I may understand you more fully and continue to enjoy your favor. And remember that this nation is your very own people." The Lord replied, "I will personally go with you, Moses, and I will give you rest - everything will be fine for you." Then Moses said, "If you don't personally go with us, don't make us leave this place. Remember, that today God has a firm hold upon you. God is not only with you today, but His mighty hand is holding on to you with every step you take.